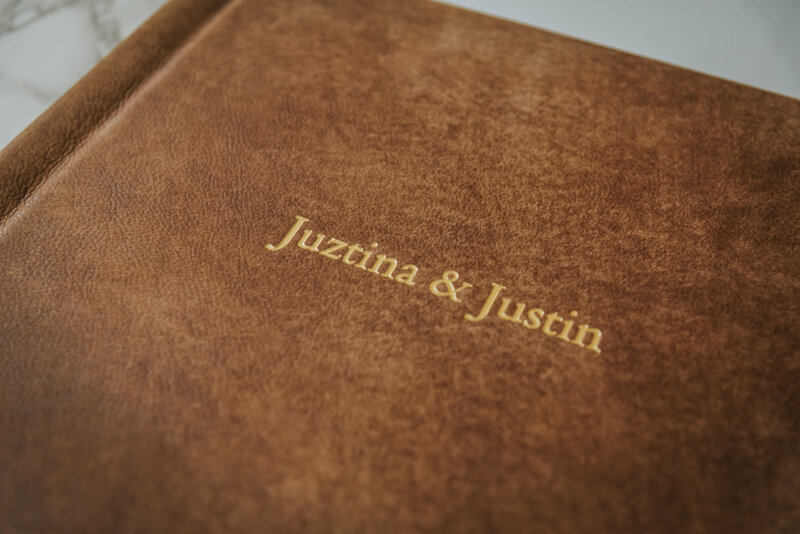 All of our wedding collections include a wedding album of your very own. That’s just how much we believe every one of our couples should have something physical they can hold together! - Our premium flush mount albums set the standard for beauty, durability and style. 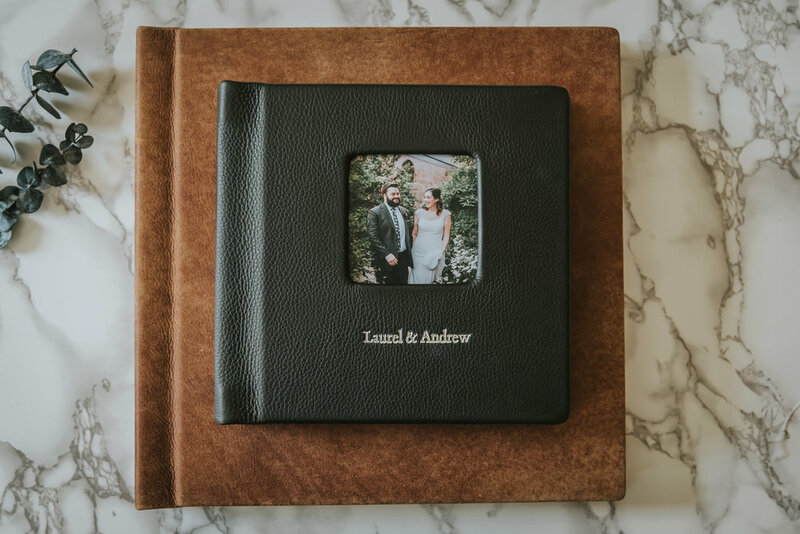 Hand crafted from the highest quality materials, our albums vibrantly display all of your favorite wedding moments for a lifetime. -Each gorgeous page is printed on Fuji Crystal Archival luster paper. - Our pages have a thick, robust core that doesn’t bend or curl. Built to last, our solid pages exude craftsmanship and quality. With flaylay tech, your photos will never get lost in the gutter! - Accent your album cover by having it engraved with your names and wedding date (complimentary) or adding in a cameo window. These decorative touches makes your album even more personal and unique!